A New Support Group for Eye Cancer Patients is Available! Stress and anxiety following treatment for choroidal melanoma have been well recognized among patients and studied among doctors. In fact, The NIH-funded Collaborative Ocular Melanoma Study reported on 209 patients with medium-sized melanoma treated with either brachytherapy or enucleation. In this sub-study, their goal was to compare the quality of life between treatment groups using questionnaires. After questioning patients, researchers found that those undergoing radiation therapy had better quality of life outcomes related to their vision, such as driving, near activities, and binocular vision. After three to five years post-treatment, this benefit did decline, paralleling a decline in vision for the brachytherapy-treatment group (this, of course, predates the advent of vision-sparing anti-VEGF therapy). At The New York Eye Cancer Center, we are currently participating in a study evaluating patient reported outcomes after plaque brachytherapy for choroidal melanoma. The more we understand a patient’s reception of plaque brachytherapy and the effect their treatment has had on their lives, the more we can specialize our care for each individual. We strive to offer compassion and understand what our patients are going through on a personal and psychological level. In an effort to help patients deal with their stress and anxiety, The New York Eye Cancer Center has begun to host a support group specifically for eye cancer patients and survivors. Please join Karen Campbell, a Licensed Clinical Social Worker (LCSW), who will facilitate this group. Sponsored by The Eye Cancer Foundation, this group therapy session will be held on Friday, October 13, 2017 at 1:30 pm at The New York Eye Cancer Center. Join us to have your voice heard among peers who understand what you are going through! For your convenience, please consider downloading this flyer for the Support Group that contains all necessary information. We will host more sessions in the future, so in order to stay tuned for announcements on upcoming dates, please check back on eyecancer.com regularly! If you’ve been recently diagnosed with an eye cancer, such as ocular surface squamous neoplasia or conjunctival melanoma, it’s normal to feel a little nervous – but, there’s good news. It is possible to treat some of these cancers with topical chemotherapy eye drops, like interferon alpha (also called Intron A), instead of surgery. Interferon is commonly used in injection form; however, in 2008 Dr. Finger and his team discovered that interferon in topical eye drop form is very effective at treating tumors on the eye. It also has the additional benefit of causing fewer side effects in the body! The following video demonstrates the proper technique for chemotherapeutic eye drop instillation. These instructions will be the same regardless of the type of chemotherapy eye drop you are using (e.g. Intron A, Mitomycin C, 5-FU). It’s fine to ask a family member or friend for help, but most people find that they are able to put drops in themselves without a problem. The New York Eye Cancer Center Instructions for Chemotherapy Eye Drops from Paul T Finger on Vimeo. STEP 1: Wash your hands and put on latex gloves, if possible. STEP 2: Lie down flat or recline back in a chair. STEP 3: Look DOWN and pull back the UPPER EYELID. STEP 4: Put the drop on the TOP part of the eye. STEP 5: Slowly close your eye and keep it closed for FIVE MINUTES. STEP 6: Make sure to gently wipe away any excess. STEP 7: Wash your hands again. Note that it’s easier to instill these drops when you are lying down. Also, remember to keep these drops refrigerated and to wipe any excess that you may blink out to prevent irritation of the skin. Most patients tolerate these drops very well, but if you have any concerns or comments, please make sure to speak with your doctor. Stay tuned for more educational videos by keeping eyecancer.com in your bookmarks! “Sharing a common scientific language (staging systems) allow us to communicate our ideas and enable progress” writes Dr. Paul T. Finger in Foundational Elements for Collaboration in Ophthalmic Oncology; a recent editorial published for the American Academy of Ophthalmology. Communication is vital in nearly all areas of life, and the medical field makes no exception. In order for doctors to compare their results, they must describe the stage (size and distribution) of the cancer they are treating. This is the only way oncologists can effectively discuss and coordinate the care for patients around the world. 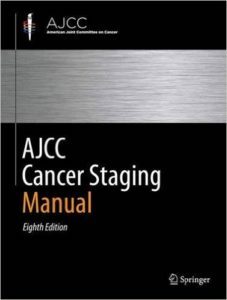 And towards this goal, Dr. Finger as Chair of the Ophthalmic Oncology Task Force for The American Joint Committee on Cancer has worked over 12 years to create, write, and publish three editions of The AJCC Cancer Staging Manual and most recently its sister equivalent for the UICC. As Dr. Finger explains, the AJCC staging system was made from the collective effort of 10 subcommittees, composed of more than 50 eye cancer specialists across the world. These doctors came together to develop a clinically useful textbook describing, with rigorous detail, the methodology of classifying eye cancers. In fact, working together, these systems represent the greatest consensus work yet created by the eye cancer specialty. You may have heard of a tumor classified as “stage 2” or “stage 4”, benign or malignant, and so on, but how do doctors come to this conclusion? Staging a tumor relies on rules on how to measure and locate tumors in the eye and/or thought the body. By gathering a large profile of data from tumor patients, the AJCC team has also analyzed how tumor size or failure of initial treatment can be used to predict the risk for metastasis. With this common staging system shared between doctors from The United States to Indonesia, patient care is streamlined and made more effective. The AJCC’s wide pool of data allows for a more precise system, which is tremendously useful for eye cancer specialists otherwise unable to access international resources. This is the immediate effect of doctors adopting this system, but the long term effects are equally as influential. To read the editorial in which Dr. Finger discusses the textbook’s creation at length, please click here. And to stay updated on all Eye Cancer Foundation news, as well as information on the latest eye cancer research, please keep eyecancer.com in your bookmarks! In order to examine the existence and extent of an iris tumor, a biopsy may be required — but what is a biopsy, exactly? For those who may be unfamiliar with the term, a biopsy is a sampling of tissue taken from a certain area of the body in order for doctors to closely evaluate a patient’s pathology. Every biopsy is different. However, they can sometimes be invasive and cause discomfort. For a patient undergoing a biopsy in an area as delicate as the eye, this may feel intimidating. This important factor has contributed to Dr. Finger’s development of the Finger Iridectomy Technique (F.I.T), a minimally invasive but very effective method of biopsy. This technique allows for a large amount of tissues and cells to be biopsied, optimizing sample size while minimizing discomfort for patients. 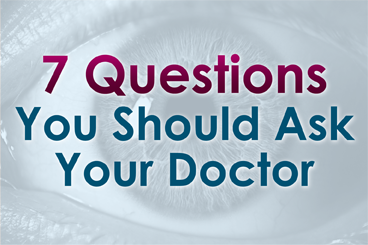 In this video, Dr. Krystine Olszewski from the New York Eye Cancer Center provides an approachable checklist on what to do before and after an iris biopsy. She discusses the required medication to be taken, as well as what is to be expected in the follow up exam. Iris Biopsy; Finger Iridectomy Technique from Paul T Finger on Vimeo. To stay tuned for upcoming videos as well as be informed on all the latest updates in eye cancer research, keep Eyecancer.com, the website for the New York Eye Cancer Center, in your bookmarks! The New York Eye Cancer Center is dedicated to combining both science and technology with a human touch, offering a holistic approach to the diagnosis and treatment of eye cancer. The Founding Director, Dr. Paul T. Finger, aims to extend his streamlined medical approach to others with the focus of not only helping doctors work together, but also providing easy-to-understand information. This is very important for patients who feel overwhelmed by the scope of medical terminology and technology. Every day, swift strides are being made towards a brighter future for eye cancer patients all around the world. Here at The NYECC, a series of videos have been made and published, ranging from lectures for training specialists, to videos for patients on what to expect throughout the stages of their care. In this video, Dr. Finger timelines his 30+ year medical career. He discusses his pioneering of the Palladium-103 plaque procedure for intraocular tumors, imaging methods for many eye cancers and anti-VEGF therapy now used world-wide to suppress radiation complications, plus more. Meet Dr. Paul T. Finger, Director of The New York Eye Cancer Center from Paul T Finger on Vimeo.